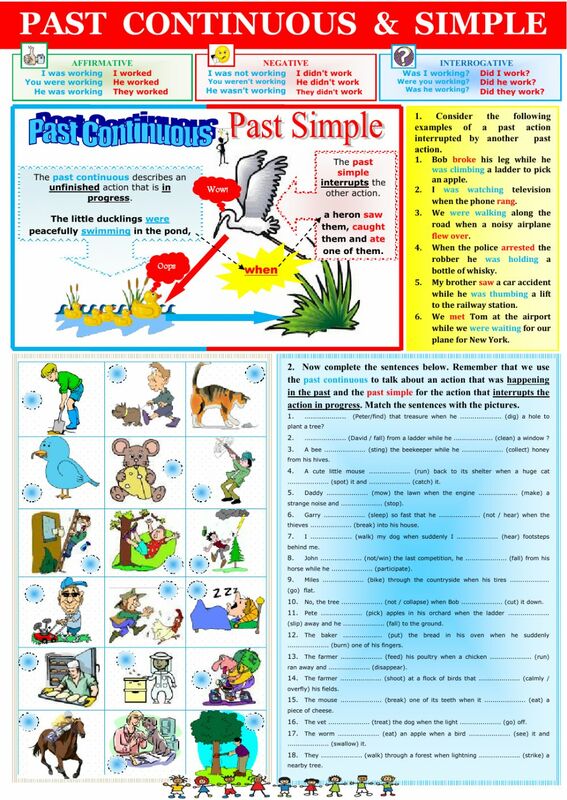 Students have to complete sentences with the correct verb form, past simple or continuous and match the sentences to pictures. Copyright 1/1/2017 Monique Karagozian. Publication or redistribution of any part of this document is forbidden without authorization of the copyright owner. Amazing explanation and ex-es for these two past tenses that can be easily confused.